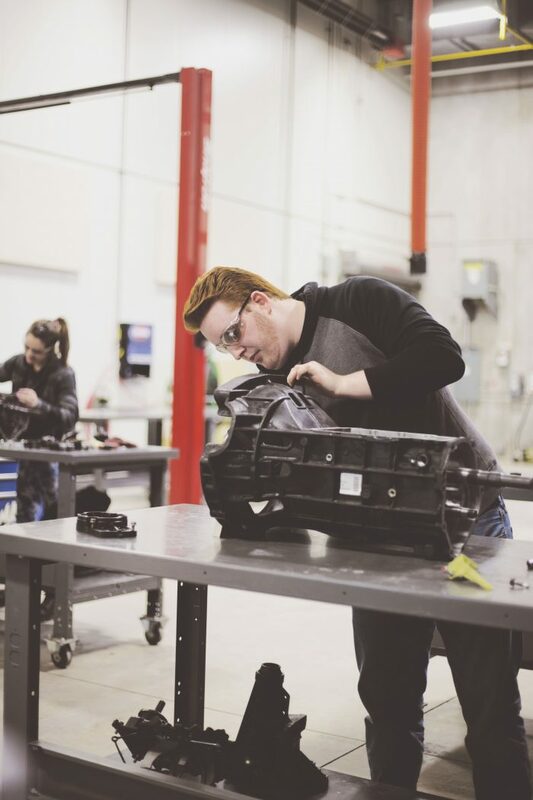 Train for a career in the fast-paced and ever-changing automotive field with expertise that can be applied to motive power trades such as heavy equipment, small engine, marine, power sport, truck and coach and agricultural technician. Motive power tradespeople possess refined knowledge, diagnostic abilities and business management skills. 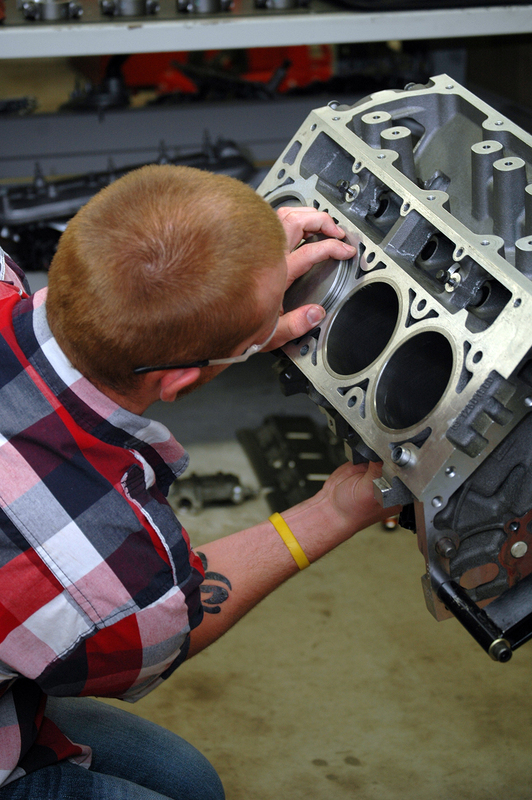 A one-year certificate prepares you for a career as parts and counter personnel. A two-year diploma prepares you for a technical position, and provides the practical training to manage a small business or franchise. Graduates work with dealerships, manufacturers, service and repair shops, parts distributors, retail stores, wholesalers, insurance appraisers and adjustors, and manufacturing plants for automotive-related items. Activities may include repairs, writing customer service orders, sales, customer relations, parts counter service, warranty claim processing, supervision and insurance appraisal. Automotive Technician, JFP Automotive Inc. Learn by doing in Loyalist’s new state-of-the-art Bay of Quinte Skills Centre. 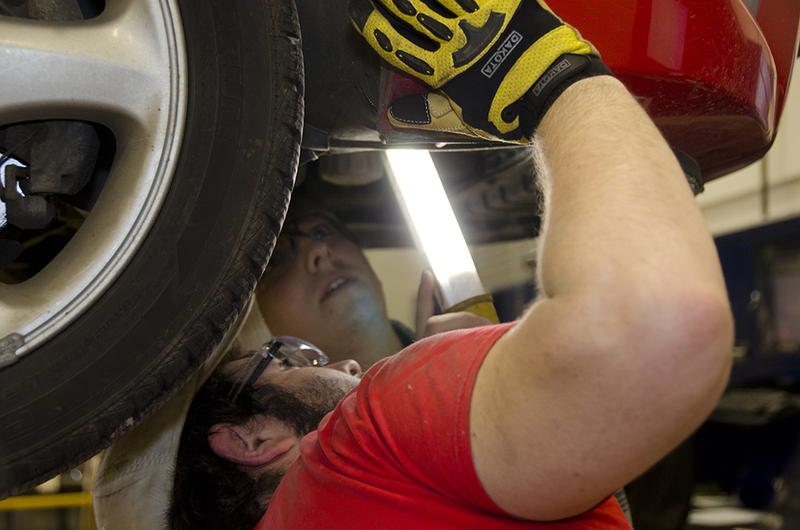 Practise your skills on real vehicles and vehicle components in a safe learning environment. Gain practical knowledge of safe environmental practises and small business management. 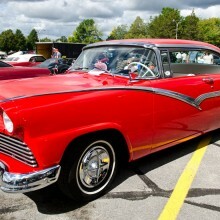 Enjoy extracurricular opportunities including the annual Show and Shine event, Drive to Survive, Santa Claus parade, Heels on Wheels, and the Specialty Equipment Market Association (SEMA) show in Las Vegas. 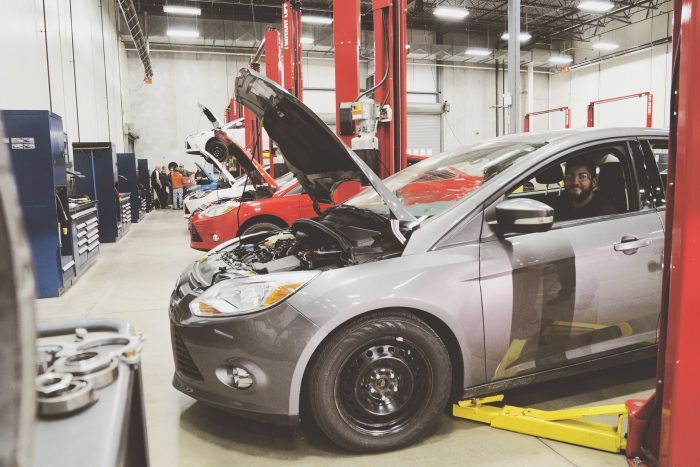 SEMA has invited Loyalist students to participate in its student placement program for the past seven years – the only College Automotive program in Canada to participate in the program. Selected parts of the course content mirrors that of the three levels of the Automotive Service Technician Apprenticeship program. Learn with an experienced, knowledgeable and enthusiastic faculty. Professors are licensed Automotive Technicians recognized and in good standing with the Ontario College of Trades, with experience teaching high school and college automotive programs. The program coordinator has been recognized with Outstanding Achievement Awards from the Canadian Auto Workers and Ontario Youth Apprenticeship Programs. 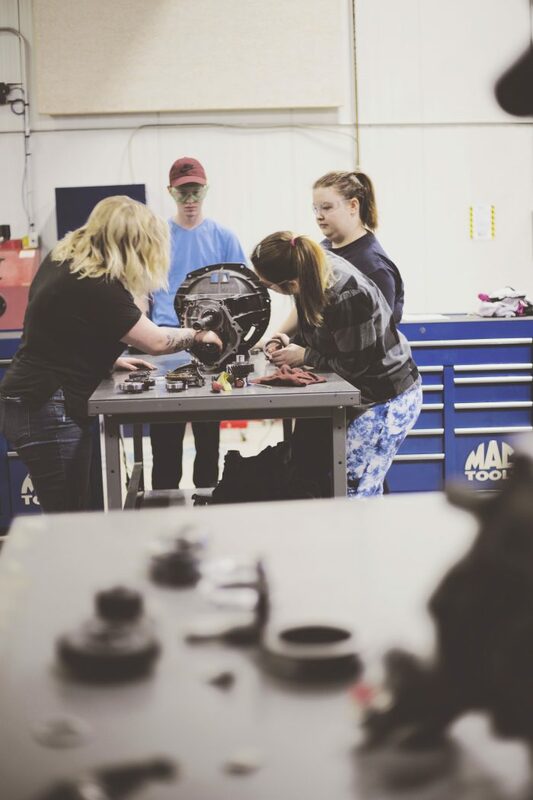 Students learn safe shop practices, housekeeping skills and related environmental practices, as well as basic working knowledge of recommended trade information resources, tools, air conditioning, hydraulics and welding. This course will offer students basic computer skills relating to operations of a personal computer, as well as standard software programs used across the automotive industry. The basics of Microsoft Outlook, Microsoft Word, Excel, Microsoft PowerPoint and Internet Explorer, will all be explored this semester. In addition, ALLDATA and Mitchell 1 applications will also be introduced. 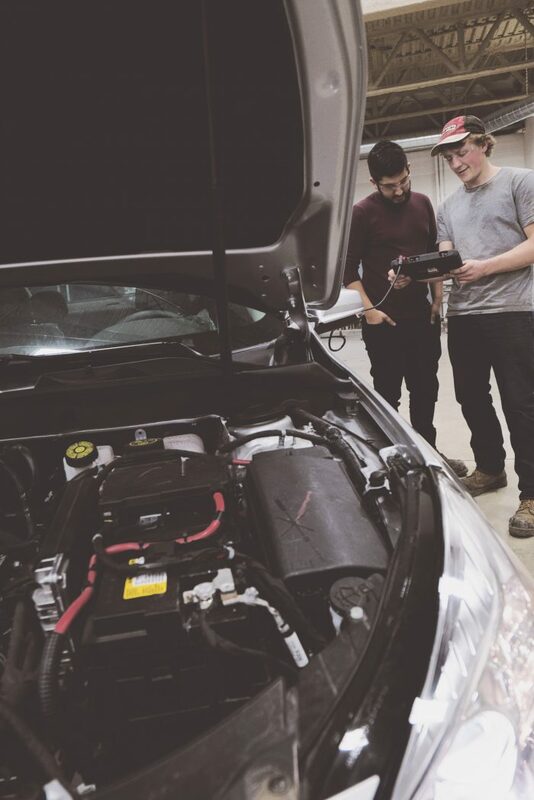 Students develop a basic working knowledge of the construction, operating principles, testing and servicing of electrical system circuits and components, batteries, starting systems, charging systems, wiring diagrams, fuel diesel, exhaust and emission systems. 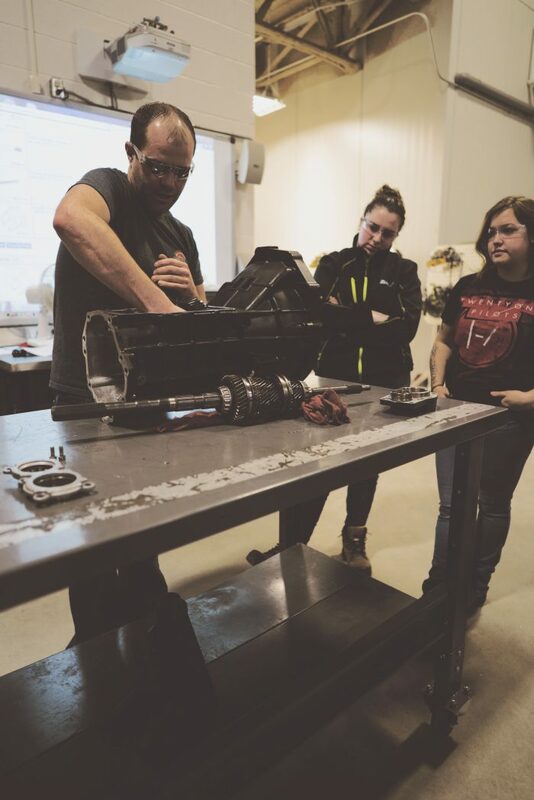 Students gain a basic working knowledge of the construction, operating principles, testing and servicing of internal combustion engine assemblies, sealants, lubrication systems, and cooling systems. The demonstration of cross-counter customer relations, presentations, explanations and interpretations of estimates and work orders are an essential component of this course. Mathematics is designed to review and enhance the student's basic math skills. Students will be discouraged from using calculators and encouraged to use their own abilities to make calculations and solve problems in the areas of fractions, decimals, metric, ratio and percent. This course focuses on writing and research skills required for successful completion of college-level studies. The course will promote development and improvement of research and writing skills that can be applied to students’ chosen programs of study. Students develop a basic working knowledge of the construction, operating principles, testing and servicing of electrical system circuits and components, batteries, wiring diagrams, fuel diesel, exhaust and emission systems. Students demonstrate a basic working knowledge of the construction, operating principles, testing and servicing of train components, clutches, transmissions and drive line units. Students are encouraged to use open dialogue around issues faced on the job. Areas of focus will include: working as a team, communication with other departments, working with difficult managers and co-workers, and making opportunities for advancement. 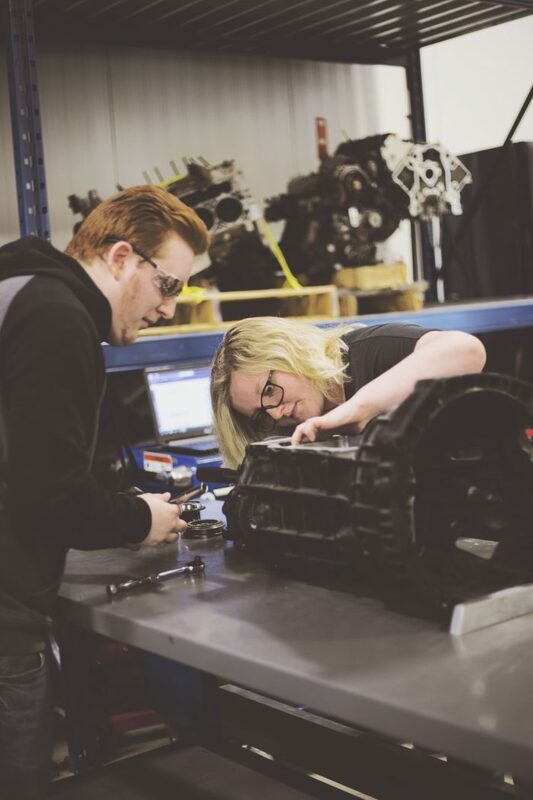 Students demonstrate a basic working knowledge of the construction, operating principles, testing and servicing of suspension, steering and hydraulic and air brake systems. Instruction will be given in the following areas: electrical definitions and fundamentals of circuits, wiring diagrams, test equipment, cranking and charging systems, ignition systems, electronic fuel injection, emission controls and engine management. 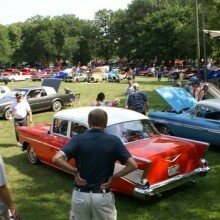 The electrical, electronics and fuel systems module is designed to demonstrate a basic working knowledge of electrical definitions and fundamentals of circuits, wiring diagrams and applied test equipment, electronics definitions, fundamentals and applied test equipment, cranking systems and control circuits, charging systems and control circuits, engine management/ignition systems, engine management/fuel characteristics, carburetor and intake manifold heating systems, engine management/gasoline electronic fuel injection systems, and engine management/emission control systems. Instruction will be given in the following areas: clutches and controls, manual trans-axles and differentials and automatic transmissions. 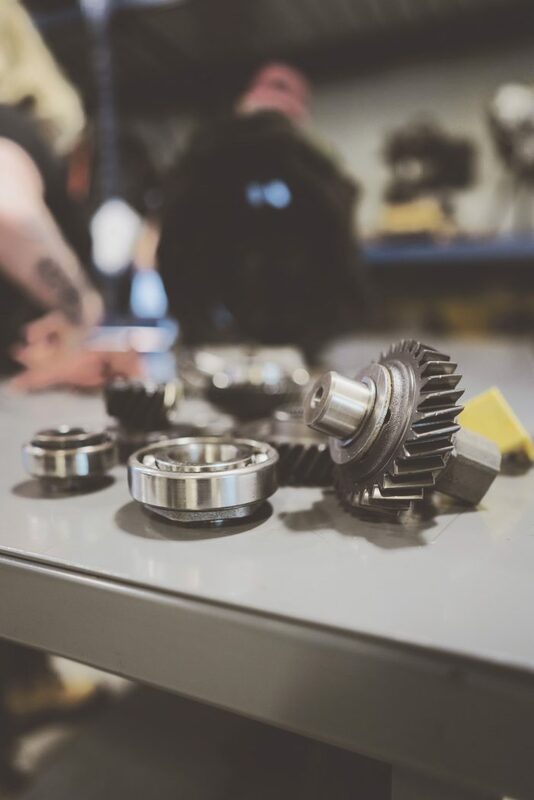 Instruction in motive power gear trains is designed to demonstrate a basic working knowledge of the construction, operating principles, testing and servicing of manual trans-axles, differentials and axle assemblies and automatic transmissions. 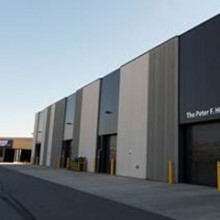 Students learn a working knowledge of the organization and the behaviours of management, shop management, layouts, applied business in the motive power industry and setting goals and objectives in connection with time management. Students are able to obtain a working knowledge of the organizational behaviour, shop management and applied business practice skills in the motive power industry. The student will also employ appropriate strategies in setting goals and objectives and demonstrate appropriate time management skills. This course demonstrates a working knowledge of shop systems, human and physical resource management, organizational behaviour and customer/employee/employer relations. Instruction will be given in the following areas: climatic control systems, shielded metal arc welding and business practices. Applied work practices and procedures are designed to demonstrate a basic working knowledge of climate control systems, shielded metal arc welding and applied business practices. Instruction will be given in the following areas: suspension and alignment, brake systems. The suspension, steering and brake modules are designed to demonstrate a basic working knowledge of the construction, operating principles, testing and servicing of suspension alignment and brake systems. Many universities across Canada and abroad will provide credit recognition for your diploma studies at Loyalist. The following is a list of agreements that are currently in place. There are many more options, and new agreements are added annually. Contact your university of choice to make individual arrangements. *Various potential degree pathways. Please confirm details with the receiving institution. Enrolment in this skilled trades program makes you eligible to apply for the Weston Family Scholarship in the Skilled Trades. Loyalist has a number of scholarships, bursaries and academic awards available to students. Our Financial Aid Office can help you explore your options, or assist you with a student loan. Applicants with work experiences or other types of non-credentialed learning may be eligible for credits at Loyalist. Graded credits (as opposed to exemptions) are granted. Click here for more information about our assessment and credit challenge process. Click here for information about how to apply, international student fees and more. CarCare Business - see page 35. Please complete the red fields.